Le Chéile International 2019 to include Wind-Sprints! This year’s Le Chéile International, on Saturday 8th June, will see all sprint events up to and including 200m run with a following wind! The direction of the races will be decided to ensure ideal sprinting conditions, and thus help to maximise all sprint performances. Following on from this successful initiative at the Tón Le Gaoithe meeting and the Leevale Open Sports, we will facilitate fast times for all of our sprinters in this way. Don’t miss out on this opportunity to achieve a super-fast time. Make sure Le Chéile is part of your schedule for this Summer! The 2019 edition of the Le Chéile International, in association with the Irish Milers Club, will take place on Saturday 8th June. It will once again feature a full programme of track events from 100m to 3000m, as well as the Long Jump and Shot Putt. 2019 will also see the return of the Le Chéile International Team Trophy, with Team Ireland looking to defend their crown from the inaugural competition in 2018. Please check back regularly for updates and announcements. The start lists and timetable are now available for the Le Chéile International. Click here to get all the details. This year’s Le Chéile International takes place on Saturday 16th June in Leixlip, Co. Kildare, and for the first time will feature the Le Chéile International Team Trophy. This will see Team Ireland take on three international teams, Team GB Blue, Team GB Red, and a World Team, across 11 international events to try to claim the inaugural Team Trophy, kindly sponsored by Athletics Ireland. Following a similar format to the European Team Championships, each team will have two scoring members per event, with results counting towards the overall team score. The competition will finish with a Mixed 4x100m Relay, featuring two male and two female athletes from each team. Kildare native and middle distance ace, Paul Robinson, has been appointed as Captain of Team Ireland and, with Captain’s scores counting double, he will play a crucial role in helping Ireland towards victory, and is looking forward to captaining his country. Each of the Team Captains will also have a Captain’s Pick, another star athlete who will score double points, and Robinson feels he has many worthy candidates to choose from. In his own event, the Men’s 1500m, Paul will face off against Rowan Axe, who had a breakout season in 2017, lowering his best to 3.38.12, and John Travers who became the first Irishman to run a sub-4 minute indoor mile this winter. Two other middle distance events will also count towards the Team Trophy. The Women’s 800m, sponsored by the Irish Milers Club, will feature Katy Brown (2.02.33) and Elise Vanderelst (2.04.02), while Alanna Lally will fly the Irish flag. And for the first time, the Le Chéile International will feature the Noel Carroll Men’s 800m, sponsored by Civil Service Harriers. This promises to be a cracking race, with 2017 Irish Indoor Champion Kieran Kelly (1.47.50) facing tough opposition from James Bowness (1.45.96) and Eliott Crestan (1.47.19). The sprint events have also attracted top quality opposition for the Irish team, with recently crowned Commonwealth Games Champion, Harry Aikines Aryeetey (10.08), set to star in the 100m sponsored by FloElen Construction, where he will face the winner of the Irish Universities Championship, Travane Morrison (10.50). British Universities Champion, Diani Walker (11.45), will have high hopes in the Kildare County Council Women’s 100m, where she will face Ireland’s Ciara Neville, fresh from an Irish Junior 4x100m Record on May 26th. Canadian Olympian Carline Muir (51.06) is the leading entry in the Women’s 400m ,while in the French Estates Men’s 400m, World Indoor Silver Medallist Conrad Williams (45.06) will challenge for the win as he lines up against some of Ireland’s top Junior athletes. The Men’s Long Jump will take centre stage in the field events, as British Universities Champion Jack Roach (7.58) takes on 2016 Le Chéile Champion DJ Martin (7.40) and AAI Games winner Shane Howard (7.53). The final event of the day will see the four international teams face off in a Mixed 4x100m Relay, with two male and two female athletes from each team carrying the baton around to hopefully secure Team Trophy glory. 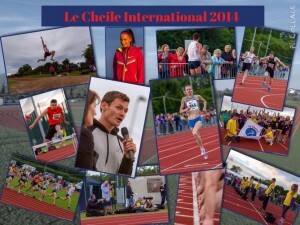 Entries for the Le Chéile International are NOW OPEN through the Irish Milers Club website, www.irishmilersclub.org. Entries will be taken for all track events from 100m to 3000m, as well as the Long Jump and Shot Putt, for both Men and Women. Fields are expected to fill up very quickly, so please don’t delay and make sure you are part of a great day of athletics! The 5th edition of the Le Chéile International will take place on Saturday 16th June at the Le Chéile AC track facility in Leixlip, Co. Kildare. The event will once again be run in partnership with the Irish Milers Club, and for the first time will incorporate an exciting new element, the Le Chéile International Team Trophy. There will be a full programme of track events for Men and Women, from 100m to 3000m, as well as Long Jump and Shot Putt events in the field. Athletes of all abilities will once again be catered for, with events organised on a graded basis, and the programme will build towards the International events and the awarding of the Team Trophy. The final Team Trophy event will be a mixed 4x100m Relay, featuring two male and two female athletes from each team. In addition the Captain of each team and the Captain’s Pick will score double points in their individual events. Regular updates will be provided in the team standings throughout the day and hopefully Team Ireland will emerge victorious by the end of an exciting afternoon. Entries will open in May for the Le Chéile International, and will be taken through the Irish Milers Club website. For full details on events, see here. Spectators can come along and witness this innovative and exciting athletics format free of charge, and the event will once again be live streamed online, and feature a live outside broadcast from KFM. Irish Olympic Finalist, Thomas Barr will headline this year’s Le Chéile International in Leixlip on Saturday 15th July. Irish Athlete of the Year and World University Games Champion, Barr, will contest the NUI Maynooth Men’s 400m and will face stiff opposition from reigning World Indoor Champion in the 4x400m, Chris Giesting (US). Giesting boasts a personal best of 45.53 and will ensure that Barr doesn’t have it all his own way. Fellow World Student Champion, Angie Petty (NZ), leads the entries in the IMC Women’s 800m. Petty has dipped below the magical 2-minute barrier (1.59.06) and is also the Le Chéile record holder over 1500m. She will face off against last year’s 800m winner and track record holder, Katherine Camp Marshall, also from New Zealand. In the short sprints, we welcome World Medalist and European Champion, Harry Aikines Aryeetey (GB), for the FloElen Construction Men’s 100m. Earlier this year, he flew to a wind-aided 9.90secs for the distance, and has a personal best of 10.08. He will line up against Desmond Lawrence (US) who has an identical PB, meaning we will see fireworks in the shortest event! Another returning track record holder is Seb Rodger (GB) in the Leixlip and District Credit Union Men’s 400m Hurdles. Rodger, a Rio Olympian, sped to 49.89secs at the 2015 Le Chéile International and will be looking to better this mark on Saturday 15th July. He will face stiff opposition from Nigeria’s African Games Champion, Christian Morton, and New Zealand record holder Michael Cochrane. The Athletics Ireland Men’s 1500m promises to be a titanic tussle, with six athletes within three seconds of each other. Leading the entries is Robert Domanic (US), who boasts an impressive Mile PB of 3minutes 54 seconds. European Championship Finalist from 2016, Tamara Salaski (SRB), leads the entries in the Women’s 400m where she will face most of Ireland’s top one-lappers, and Adam McMullen will line up as favourite in a strong Long Jump field. 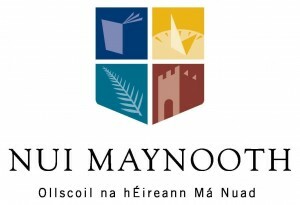 Outside of the international events, the meet will once again cater for all athletes across a full range of events, from 100m to 3000m on the track, and the Long Jump and Shot Putt in the field, and for the first time we will host Wheelchair Events, featuring Irish Olympian, Patrick Monaghan. The Irish Milers Club will once again ensure top quality organisation and efficiency on the day, and entries will open very shortly through their website. Click here to enter. nTrai are once again our streaming partners, and they will provide full coverage of all races, including interviews and analysis across the 3 hours of the programme, kicking off at 2pm. Further details and information regarding the 2017 Le Chéile International are available on our website at www.lecheileac.com/international. And don’t forget to follow us on Twitter, @lecheileintl, to keep up with all the latest news. 2017 Le Chéile International Announced! The 2017 edition of the Le Chéile International will once again take place at the Leixlip Amenities Centre on Saturday 15th July, in partnership with the Irish Milers Club. It falls right in the middle of a fantastically exciting month for Irish athletics, with five international events, including the IMC Belfast International and the Morton Games. Le Chéile will also provide athletes with the ideal opportunity to tune up for National Championships, which take place one week later. A full programme of events is planned for both Men and Women, and regular updates will be provided here, so check back soon! The 3rd Edition of the Le Chéile International in association with the Irish Milers Club will take place on Saturday 30th July in Leixlip, Co. Kildare, and will build on the tremendous success of the last two years with some exciting new events and innovations. 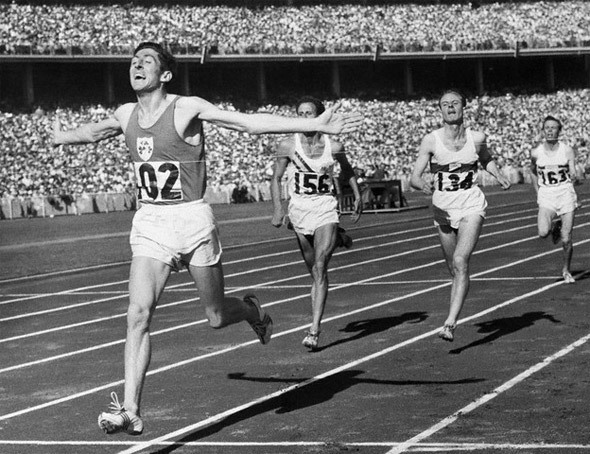 Top of the list is the inclusion of the Ronnie Delaney 1500m, which will celebrate the 60th Anniversary of Delaney’s historic gold medal at the 1956 Melbourne Olympic Games. The race promises to be a fitting tribute, with last year’s 1500m winner Tom Lancashire (GBR, 3.33.96) returning to face runner-up, John Travers (3.37.27), and one of the three athletes who broke the four minute mile barrier at the 2014 meet, Jordy Williamsz (AUS, 3.36.74). Ronnie will be on hand to present the prizes for the race, which is organised in association with Crusaders AC. Last summer, Angela Petty (NZ) set a personal best when winning the 1500m at Le Chéile and followed this up by claiming the World Student Games title over 800m. Petty will return to Leixlip this year, this time to do battle at the shorter distance. Boasting a best of 1.59.06, Petty will be tough to beat, but the likes of Katy Brown (GBR, 2.02.33), Rowena Cole (GBR, 2.02.88) and 2014 Le Chéile winner Laura Crowe (2.00.93) will fancy their chances of causing an upset. For the first time, the Le Chéile International will have international participation in the sprint events. On the Men’s side, the top Irish athletes will face tough overseas competition in the 100m, 200m and 400m. Leading entries in the shorter sprints include Jamaican 4x200m record holder Kevin Thompson (10.31, 20.66) and Northern Ireland’s Leon Reid (10.34, 20.62). Recent winner of the Belfast International, Theo Campbell, who boasts a best of 46.02, will fancy his chances over one lap, but will face stern opposition from home favourite and double European Indoor Champion David Gillick (44.77). In the Women’s sprint events, Phil Healy (11.49, 23.79) and Niamh Whelan (11.63, 23.30), who recently competed at the European Championships, will be joined by World-Junior bound Sharlene Mawdsley (11.80, 23.55) and Nigeria’s Stephanie Kalu (11.33, 23.57). Having featured in every edition of the Le Chéile International, the 400m Hurdles will once again provide a highlight. 2012 African Games gold medalist Cristian Morton of Nigeria (48.79) leads the male entries. Haging just returned from the European Championships in Amsterdam, Paul Byrne (50.72) will be aiming for victory against the likes of last year’s runner-up Jacob Paul (GBR, 50.20) and Jack Lawrie (GBR, 50.85). Jessie Barr (55.93) will continue her comeback from injury in the Women’s 400m Hurdles and will face tough opposition from last year’s top two, Jess Turner (GBR, 57.00) and Shona Richards (GBR, 56.05), as well as Eva Duinslaeger (BEL, 57.64). The Men’s Long Jump provides the final international event, and the solitary one in the field. David John Martin (GBR, 7.40) will hope to overcome the home challenge from Shane Howard (7.35) and Colm Bourke (7.29). 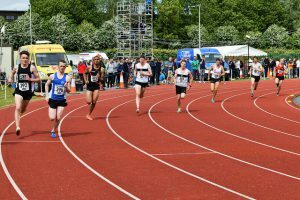 Outside of the international events, the meet will once again cater for all athletes across a full range of events, from 100m to 3000m on the track, and the Long Jump and Shot Putt in the field. The Irish Milers Club will once again ensure top quality organisation and efficiency on the day, and entries are NOW OPEN through their website. Click here to enter. 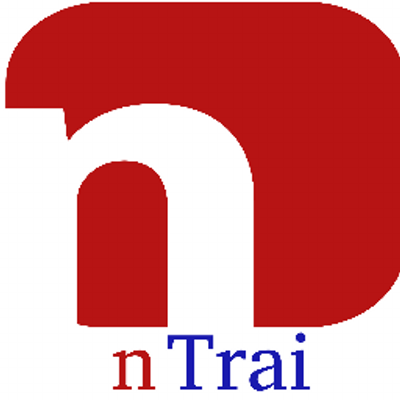 One exciting addition for 2016 is the live streaming of the event in association with nTrai. They will provide full coverage of all races, including interviews and analysis across the 3 hours of the programme. Further details and information regarding the 2016 Le Chéile International are available on our website at www.lecheileac.com/international. And don’t forget to follow us on Twitter, @lecheileintl, to keep up with all the latest news. This summer’s edition of the Le Chéile International will happen at the Le Chéile AC track and field facility in Leixlip, Co. Kildare on Saturday 30th July. Following on from the success of the first two years of the competition, it promises to be bigger and better than ever. It will once again be organised in conjunction with the Irish Milers Club who will bring their trademark organisation and efficiency, ensuring a well-run competition for athletes of all abilities. One of the highlights of last season’s meeting was the track record in the Women’s 1500m set by Angie Petty of New Zealand. Petty went on to win the World University Games over 800m later in the summer, and this year there will be an International Women’s 800m at the Le Chéile International. Petty, who boasts a personal best of 1.59.06, has expressed her desire to return to Leixlip, where she will face off against some of Ireland’s best middle distance athletes, as well as some guests from the British Milers Club. In the Men’s 800m, Karl Griffen and Niall Tuohy showed the overseas athletes the way home last year, with Griffen eventually winning in 1.48.05. This event will again be one of our International highlights, with Abraham Kiplagat of Kenya (1.43.77) set to feature. Over the last two years, we have witnessed some top quality hurdling with Thomas Barr in 2014 (49.91), Sebastien Rodger in 2015 (49.84) and Jessica Turner (57.43) all setting blistering track records. Barr has since joined Petty as a World University Games Champion and we are expecting similarly high-quality fields and performances over the 400m Hurdles in July. For the first time this year, we will also have a sprint as one of our International events, with the Men’s 100m set to take centre stage. Kenyan champion Mike Nyang’au (10.23) and Jamaican 4x200m indoor record holder Kevin Thompson (10.31) are set to take to the blocks to challenge the cream of Irish talent. Having come “From the depths of hell” in the recent IUAA Championships, Phil Healy will switch back to the shorter sprints and will start as one of the favourites at Le Chéile. An exciting new development for 2016 is the live streaming of the event, which will be produced and broadcast by our streaming partners, nTrai. The entire programme will be available to view online, ensuring that all athletics fans can enjoy what promises to be a spectacular day of world-class athletics. For more information on the Le Chéile International, and the latest news and updates, visit our website at www.lecheileac.com/international and follow us on Twitter @lecheileintl. The 2nd Edition of the Le Chéile International was held under glorious sunshine on Saturday June 13th and proved to be even more successful than the first. It featured over 250 athletes representing 10 different nations from around the world. This included 20 athletes from overseas, who challenged some of Ireland’s top performers. The performance of the competition saw Angela Petty of New Zealand set a new track record and personal best in the Women’s 1500m, overcoming a trio of Irish athletes who are destined for the Rio Olympic Games, as well as some stiff international opposition. Petty used the Le Chéile International as the springboard for her season, which saw her crowned World Champion at the World University Games in July. A star-studded field lined up in the Men’s 400m Hurdles, which featured no less than five international guests. Undaunted by Thomas Barr’s scintillating track record from 2014, the athletes flew around the track. Eventual winner Sebastien Rodger of Great Britain smashed Barr’s previous record, stopping the clock at 49.84secs. There was further success for Great Britain in the Men’s 1500m and Women’s 400m Hurdles, with Tom Lancashire and Jessica Turner taking the spoils. However, the overseas athletes didn’t have it all their own way in the International Events. 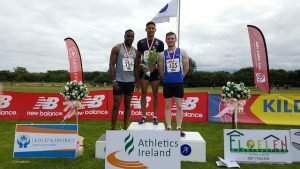 In the Men’s 800m, Irish Champions Karl Griffen and Niall Tuohy showed the way home to competitors from Denmark, Great Britain and Latvia, with Tuohy also recording the fastest time of his career. The success wasn’t limited to the International events however, with over 30% of the athletes who competed running their fastest times ever! There was a wonderful atmosphere throughout the day and a great sense of occasion, helped by the great weather and the music and live broadcast provided by KFM. The majority of athletes and all of the spectators went away happy. Michael McGovern of the Irish Milers Club commented that it was “probably the best Irish Milers Club Meet ever.” High praise indeed for an event which is still in its infancy. Just a week before he defends his title at the Le Chéile International, Thomas Barr finished 4th at the Rome Diamond League and, in doing so, lowered his own National Record for the 400m Hurdles to 48.65secs. This improves on the mark of 48.90secs that Thomas set in Geneva in June 2014, and further strengthens his position as European Number 1. Barr will be hoping to go even quicker when he takes to the track in Leixlip on Saturday and, with a high-quality field assembled, there is every possibility we will see more fireworks in the one-lap hurdles! European leader and Irish record holder Thomas Barr (48.90) leads the entries for the Le Chéile International, which takes place in Leixlip, Co. Kildare on Saturday 13th June. Barr will line up alongside Irish number two, Jason Harvey (50.16), to take on some of the top British and European hurdlers, including Sebastien Rodger (GBR, 49.19). This race will also feature a European Record attempt, as Aramis Diaz (ITA) attempts to better his own European Masters record of 51.23 secs. In the Women’s 400m Hurdles, Ireland’s best will again take on all-comers in what promises to be a really exciting event. Jessie Barr (55.93) and Christine McMahon (56.97) will face international opposition from the likes of Shona Richards (GBR, 56.16) and Frida Persson (SWE, 57.83). Top quality international fields have also been assembled for both the Men’s and Women’s 1500m. In the Men’s race, 2014 sensation John Travers (3.37) will face off against Tom Lancashire (GBR, 3.33) and Kevin Batt (3.59 Mile), while the Women’s entries are led by Alison Leonard (GBR), who last week secured Olympic qualification over 800m. She will face tough opposition from Melissa Courtney (GBR, 4.11) and Kerry O’Flaherty (4.14). The Men’s 800m will be another highlight of the event, with three athletes taking to the track who competed at the European Indoor Championships in Prague in March. Karl Griffin (1.47.39) leads the Irish charge against James Bowness (GBR, 1.47.59) and Nick Jensen (DEN, 1.48.85). Entries now open for the Le Chéile International! 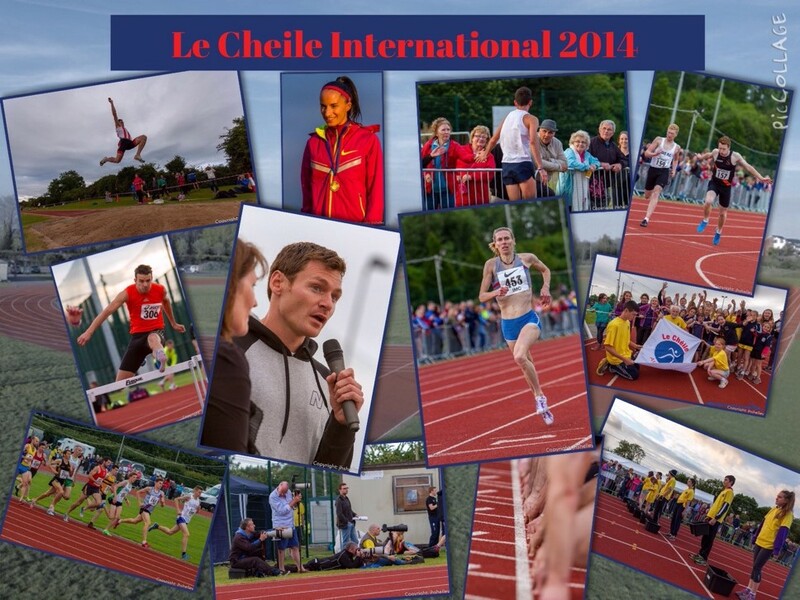 The Le Chéile International is back for its second year and is happening on Saturday June 13th in Leixlip, Co. Kildare. Run in association with the Irish Milers Club, entries are now open on the Le Chéile AC website. All events will be run on a graded basis but we expect entries to fill up fast, so don’t delay! This is your chance to run a new personal best, alongside the likes of Thomas Barr, Ciara Mageean, John Travers and a host of international stars. Le Chéile AC invites you to a very special night of athletics at our new track & field facility in Leixlip, Co. Kildare. The Le Chéile International, held in association with the Irish Milers Club, will be an evening of top class track and field athletics, showcasing the best of local & national athletes and some special international guests. As well as featuring the official opening of the new track facility, performed by double European Champion David Gillick, the first Le Chéile International proved to be the most successful athletics competition ever held in Kildare, as well as one of the biggest nights of athletics in Ireland last year. The event culminated with the first ever four minute mile to be run on Kildare soil, when no fewer than three athletes dipped under the magical barrier. The eventual winner was Sam McEntee of Australia, who clocked 3 minutes 58.41 seconds. The event also featured Irish record holder Thomas Barr who won the 400m Hurdles, holding off a strong challenge from Australian Ian Dewhurst, while also dipping under 50 seconds. Laura Crowe defeated a strong international field, including Irish record holder and Kildare native Rose-Anne Galligan, to win the women’s 800m. We also saw one of the most competitive Women’s 1500m races run in Ireland, with Irish Olympian Maria McCambridge eventually prevailing. This year’s Le Chéile International promises to be even bigger and better than last year’s, and will build on the success we achieved in 2014. It will commence with club juvenile events at 2.00pm on Saturday 13th June. The main programme of athletics begins at 2.30pm and will include the full range of athletics events. At this year’s event, it is hoped that we will see the cream of both Irish and international athletics performing at the very highest level once again. Provisional discussions have commenced with a view to bringing some big name stars to Leixlip for what promises to be an unforgettable night of athletics action.